Explore the highest peaks in just one hour. Mt. Everest (8,848m) – Highest Peak in the world. Aerial view of snowcapped giant mountains. Mountain flight also known as Everest experience flight is a one hour scenic flight from Kathmandu towards the Himalayas for the sunrise view over the Himalayas. Nepal mountain flight tour offers the interaction of world’s highest peaks including Everest (8848m), Cho Oyu, Makalu, Kanchejunga, Lhotse, Nuptse, Amadablam and other several peaks within an hour. The mountain flight starts from domestic sector of Tribhuvan International airport. The plane take off to the north nearby the Langtang Himalayan ranges and divert towards the east till the Makalu range in the eastern Nepal. You can enjoy the mountain views from the window of the plane just in your left. The stunning crystal clear mountains standing above the green hills floating over the clouds is really an exciting moment. If you are really want to enjoy the Mountain View, this one hour scenic mountain flight is the wise selection. 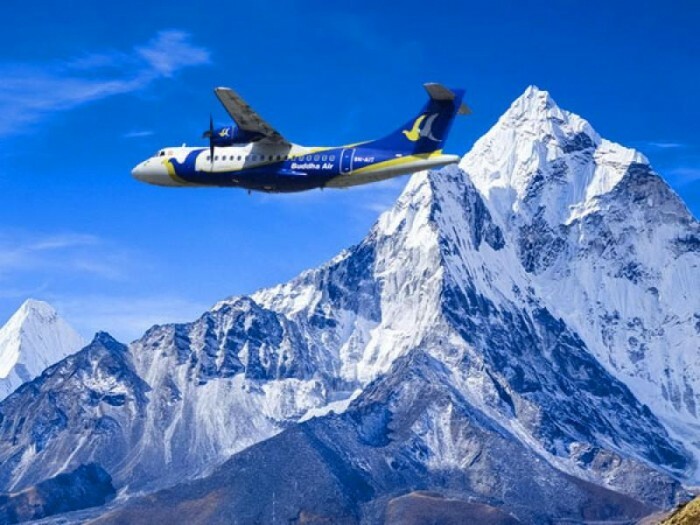 Buddha air, Yeti Airlines and Simrik air in Nepal are operating regular mountain flights from Kathmandu. 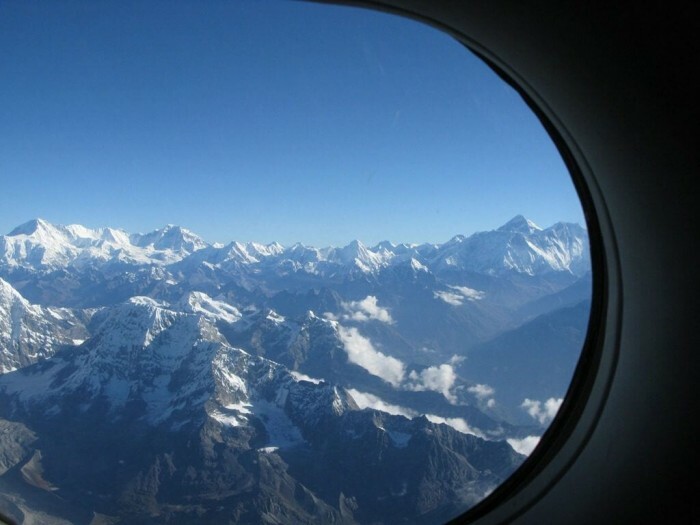 Enjoy the mountain views of Nepal by joining any of the regular flight with us.